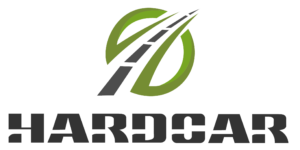 HARDCAR is a proven leader in the convergence of IT and robotics in armored transport for cannabis cash and product, so developing autonomous vehicle prototypes is just the next step for this industry leading company. November 14, 2018 – (Palm Springs, CA) –After a year of numerous successes and massive growth in 2018, HARDCAR Distribution is preparing to launch an autonomous vehicle prototype in 2019 geared towards enhancing public safety. HARDCAR already maintains excellence and compliance throughout its work, but if successful this technology would take things to another level. Self-driving armored trucks can reduce the risk of injury to agents and other drivers on the road, while also reducing the costs of transporting cannabis cash and product for their clients. In addition, these vehicles are basically software on wheels which makes them, in all intensive purposes, “green machines” and environmentally conscious. In 2017 the state of California’s Bureau of Cannabis Control placed a ban on the use of autonomous vehicles, stating that “Transportation may not be done by aircraft, watercraft, rail, drones, human-powered vehicles, or unmanned vehicles,” but recent conversations at state and federal levels are changing viewpoints. In summary, autonomous vehicles are already being used in farming and have shown massive improvements from increased yields, safer conditions for workers and more profit for farmers. Consumers are expected to see a transition in the use of these vehicles for their own personal use starting around 2022, but industrial markets will continue leading the way for the time being. This includes a cannabis industry that is expected to reach $75 billion by 2030 if fully legalized (Cowen & Co). HARDCAR Engages DelMorgan & Co.